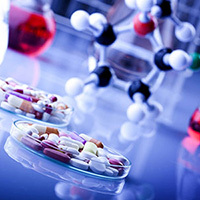 Ms. Lin possesses more than 19 years of experience in the pharmaceutical industry, having undertaken roles in manufacturing plant quality assurance, marketing, research laboratory, medical/regulatory administration, clinical research, project management, people/line management, and business/therapeutic strategy. With the last 14 years in clinical research handling both global/multi-national studies (phase I, II, III and IV) across Asia and Europe, Ms. Lin has gained significant experience in oncology, cardiovascular diseases, neurology, respiratory diseases, endocrine/metabolism, and infectious disease. Ms. Lin’s experience spanned the full duration of clinical projects, including overall project strategy and budgeting, project set-up, protocol and CTA finalization, feasibility, project start-up to close-out, vendor management, regulatory inspection, and coordination of back-end functions (Bios/DM/Medical/PhV/central Lab/vendors). Cynthia’s diverse experience has helped develop abilities in optimal communication with external and internal customers as well as strong project and time management skills. Ms. Lin holds a master’s degree in microbiology from National Taiwan University.